Fall weather has me wanting to spend more and more time outside so dinner has been pushed to the back burner more often than I like to admit. 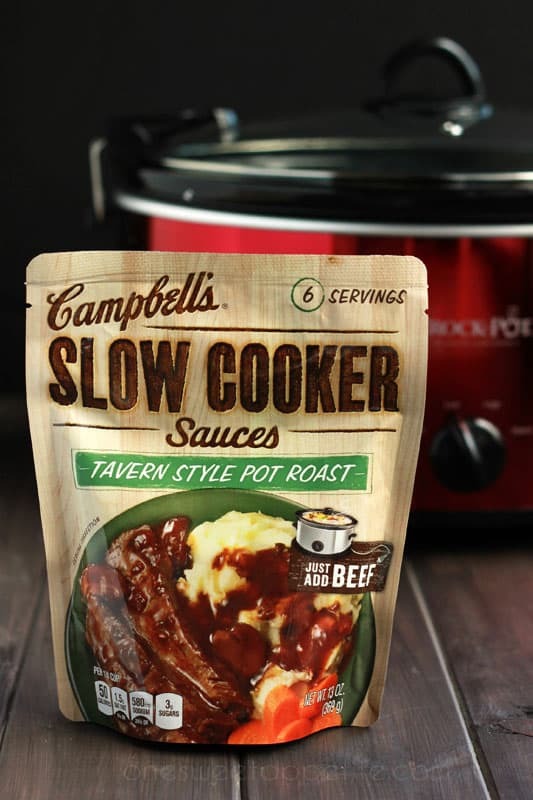 Using my slow cooker has been a huge time saver and especially with these new Campbell’s Sauces. They are so super easy to prepare and leaves me with a worry free day of play! Last week I shared a delicious Pulled Pork Taco (Campbell’s Apple Bourbon Pulled Pork… Oh my yum!) with a crunchy apple slaw that was to die for.Today I’m focusing a Sunday dinner classic; Pot Roast. I’m pretty sure this is my husbands all time favorite meal. He grew up where his mom spent hours basting and slow oven roasting Sunday dinner every week for their large family of 7. 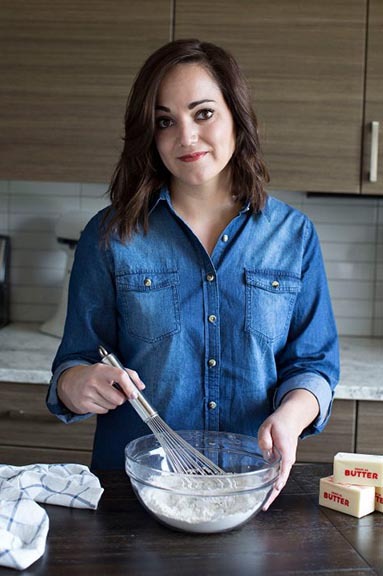 I am definitely not that patient and absolutely love that this recipe calls for a whopping two ingredients. 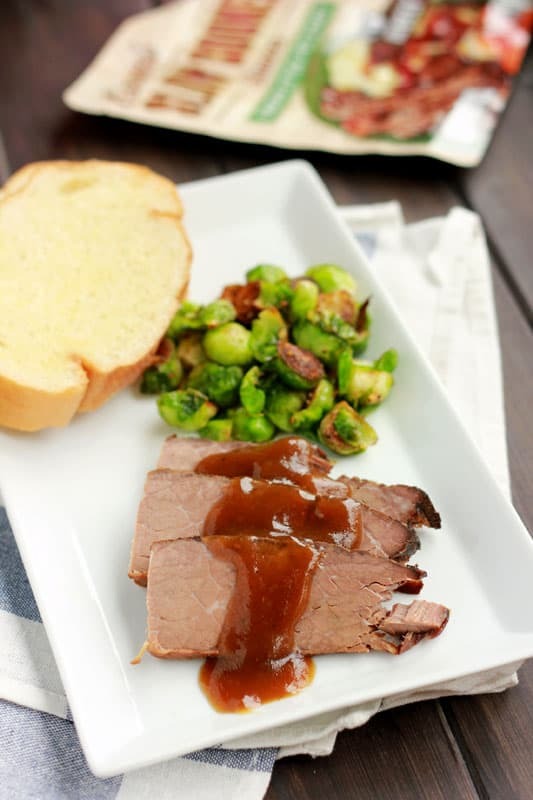 We followed the recipe on the package but strained the leftover sauce and turned it into the most flavorful gravy (recipe below) that tasted wonderful over the top of the meat and brussels sprouts. 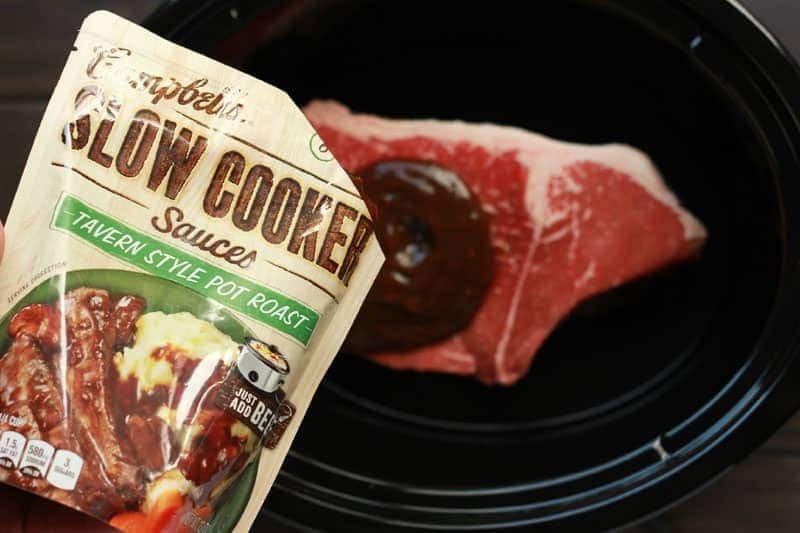 I can definitely say I am getting more and more comfortable using my slow cooker to create tasty meals. This dish was perfect for a Sunday dinner with my family. Campbell’s sauces really are a great way to serve up a great Every Day meal that is impressively delicious, especially conferring it took as little as 5 minutes to plan. Start with your cut of meat… We like a chuck or rump roast. I’ve always had better luck with those cuts coming out nice and tender in a slow cooker. Next you need the good stuff! Campbell’s Sauces come in six different flavors; Tavern Style Pot Roast, Apple Bourbon Pulled Pork (which I used here), Beef Stew, Southern BBQ, Sweet Korean BBQ, and Hawaiian Pork. For this dish we went with the Tavern Style Pot Roast because it sounded aaaaaamazing. I think what I love the most is how simple they keep your meal. I love the idea of using these as an every day go-to or maybe for game day eats. 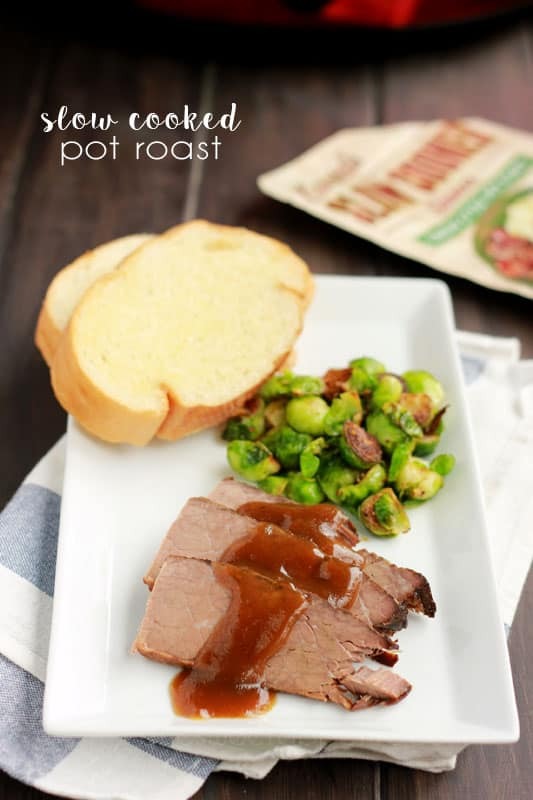 Place your roast in your slow cooker. Pour the Campbell's sauce over the top. Cover with the lid and cook on low for 8 hours. 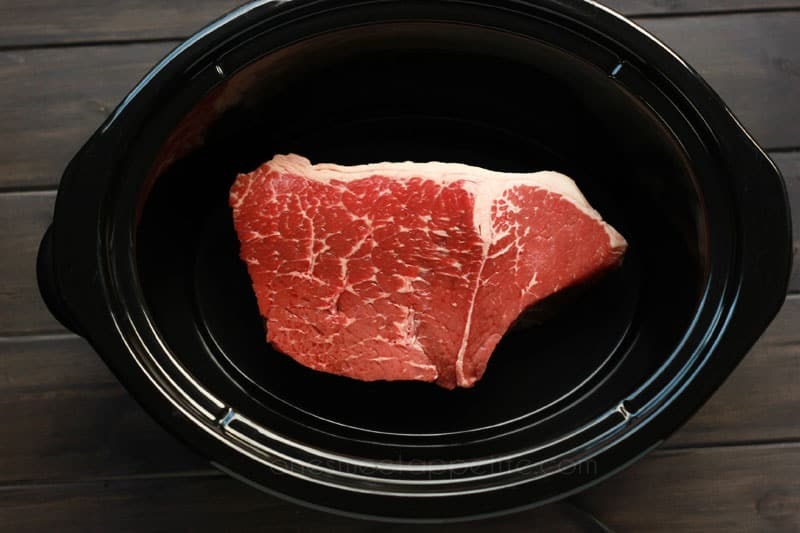 Transfer your meat to a serving dish. Strain the remaining liquid into a medium sized pot. Whisk in 1 cup of water. In a small bowl stir 1 tablespoon water with 1 tablespoon cornstarch until dissolved. Stir into your gravy. Heat to a boil, stirring consistently, and cook until slightly thickened. Serve over potatoes and meat.